I was hoping to encounter a whole host of surprises while hiking Goat Hill last week. Amazing views, maybe some goats (you know, because of the name), or a few deer – all were on my wish list. 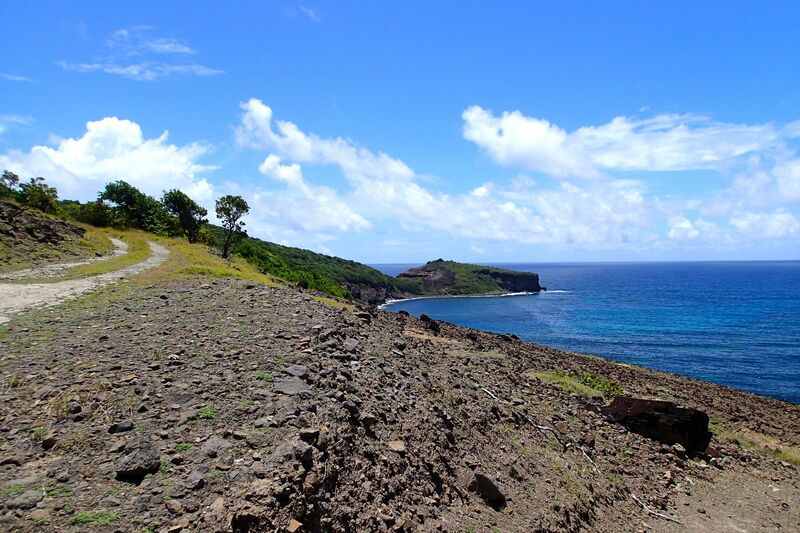 The tallest peak at the far east end of St. Croix, Goat Hill towers 672 feet above the Jack and Isaac Bay Preserve. The trek is pretty steep nearly all the way up; the wide path rocky and uneven. Factor in a decided lack of shade from about the midway point on up to the summit and yeah, Goat Hill presents quite the challenge for those on foot. On a bike, though..?! I mean this guy who REALLY surprised me on the trail definitely has me re-evaluating my fitness goals for 2019. Last updated by Steve Bennett on 01/16/2019 . For some Caribbean hiking 101, this simple trek in Antigua is perfect.